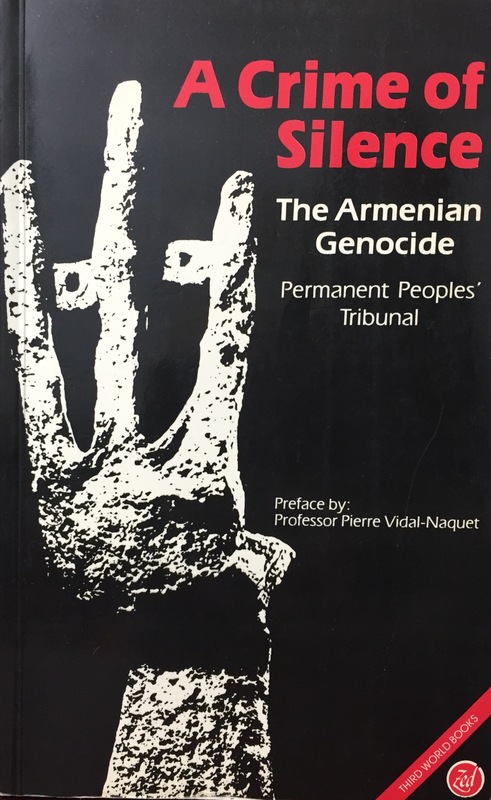 The 1984 Paris Permanent Peoples’ Tribunal provided the first international, legal forum to publicly detail and document the guilt of the Young Turk government in perpetuating the genocide of the Armenian people between 1915 to 1917. The evidence-based landmark ruling transpired into the seminal book which serves to bring this imprescriptible crime to the world’s attention. A Crime of Silence, which brings together the contributions of specialists, among whom Yves Ternon, Richard Hovannisian, Pierre Vidal-Naquet, and Zoryan Institute’s Director of Research Vahakn N. Dadrian, presents the facts and their interpretation, including the Turkish theories. At a time when universal human rights are being rigorously tested, A Crime of Silence is an essential work to comprehend the first genocide of the 20th Century.